No one can say with certainty that there will be peace on the front. The volunteer movement Back and Alive (Povernys Zhyvym) fears the war in Luhansk Region resumed with renewed vigour. "During the spring and summer it was fairly calm in Luhansk Region. 'Calm' is when there are no shellings or daily fatalities. There were casualties, but in comparison, for example, with Avdiyivka, Zaytseve or the Svitlodarsk salient, the situation was much quieter. However, after the agreement was signed on a seven-day cease-fire and disengagement in two areas of Luhansk Region - Zolote and Stanytsya Luhanska, the military were let know that there will be no silence," the group said on Facebook on 10 October. 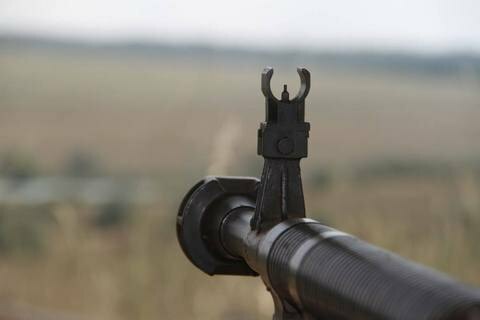 The volunteers say that on Sunday night, the vicinities of Stanytsya Luhanska, Troyitske and Novozvanivka were fired at with anti-tank rocket launchers and heavy machine guns. Closer to midnight, the areas were shelled with 122-mm and 152-mm mortars and self-propelled artillery systems. According to the Monday update by the ATO headquarters, the shelling subsided on 10 October, but no-one can say with certainty that there will be peace on the front line. The volunteers recalled that the ATO troops are in dire need of modern weapon optics. "As long as there are wounded and killed - the war goes on. With enemy saboteur groups increasing activity, the need for night vision devices for our soldiers is growing," the volunteers stress.